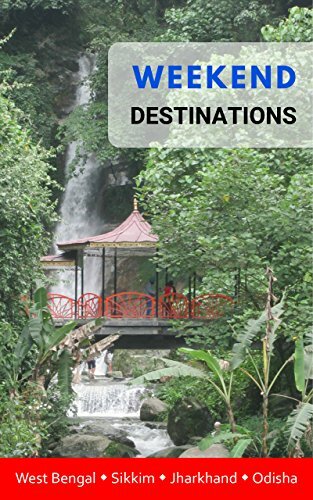 Supercharge your weekends with Weekend Destinations, the definitive travel guide to discover and explore the hidden gems as well as all-time favourite tourist places of West Bengal, Sikkim, Jharkhand and Odisha. Leave the crowd far behind as you set off for a weekend trip to some of the most amazing getaways near Kolkata. Be it festive calling or regular weekends, this book has got you covered with destinations – both near and far. From the pristine mountains of North Bengal to the secluded corners of South Bengal, from the beautiful landscapes of Sikkim and Jharkhand to the sublime beaches of Odisha, there is a lot to explore for the traveller in heart. In-depth coverage of each destination with a detailed list of things to see and do including prime tourist attractions as well as suggestions for visiting nearby places. Lively hotels and resorts to charming homestays - find helpful information on a range of accommodation options catering to every budget and taste.